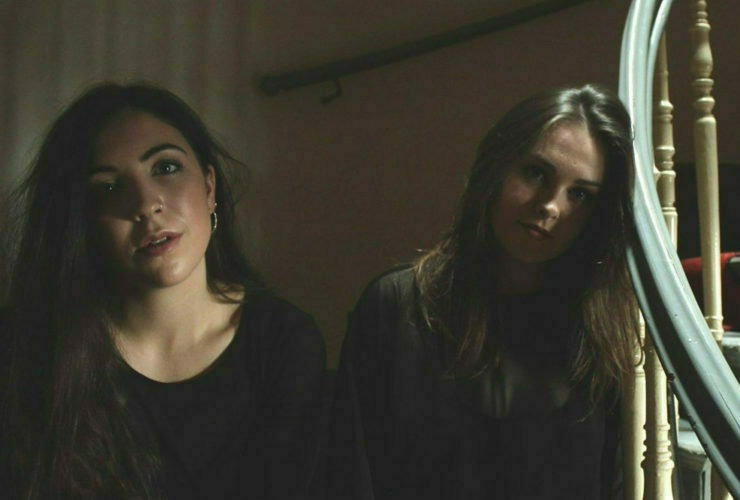 Gemma Doherty & Morgan Macintyre are Saint Sister an Irish duo who have steadily and quietly been building up a head of steam during the last year or so. They mix traditional instruments such as the Celtic harp with ethereal often slightly eerie harmonies combined with contemporary instruments and production techniques to produce something that sounds modern yet timeless. 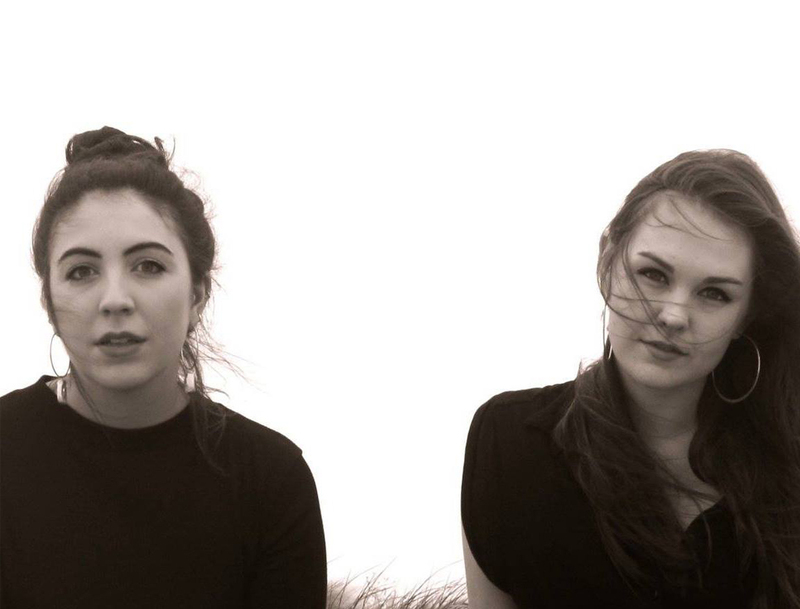 During their relatively short time together they’ve been playlisted by Radio 1, made their US debut, played the BBC introducing stage at Glastonbury and Latitude and embarked on their first headline tour which included sell-out shows in Dublin. We caught up with them at the end of 2016 to reflect on the year and look to the future. Gemma – Morgan and I met during college, we both studied at Trinity College in Dublin. Despite being in the same year, having loads of mutual friends and basically living next door to each other, we kept passing each other by, and didn’t properly meet until our final year. We got to know each other a little through singing with Trinity Orchestra, where we performed Gorillaz’ Demon Days at Electric Picnic festival. I remember getting a message from Morgan around the time we graduated, (around two years ago) asking if I wanted to meet up for a drink and a chat about collaborating in some way. She had been working as a singer/songwriter at the time, and I was singing/playing with a few different groups and writing some music of my own. Leaving college with no real sense of direction plan was quite a fragile time, Morgan and I found each other in that moment and I think we just threw ourselves into it. We’ve spent almost every day together since! Your music has a kind of timeless quality, would it be fair to say it mixes the old traditions with the new. How would you describe it? Gemma – We blend old instruments such as the lever harp with electronic instruments; synths and drum pads. 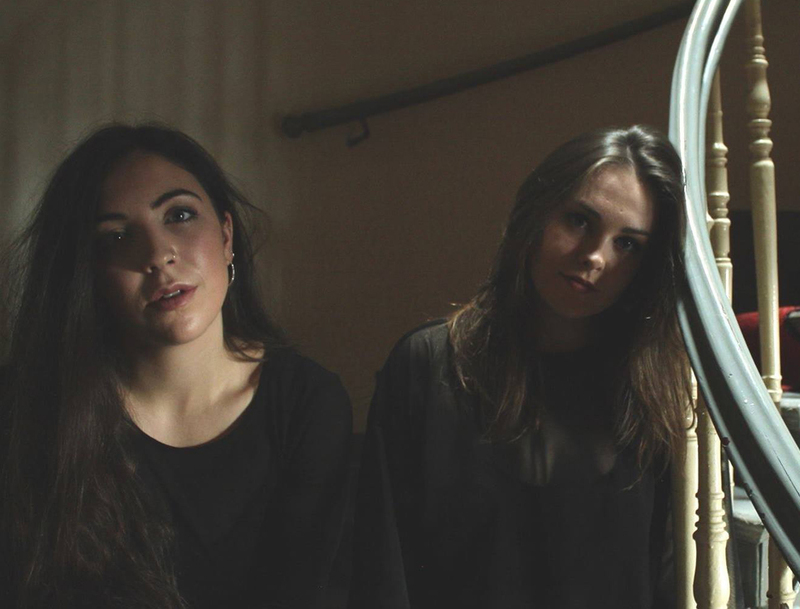 The music takes a lot from Irish folk traditions, but also from electronic and pop music, making for spacey, atmospheric folk, with our two vocals almost always at the forefront. Recent tunes ‘Corpses’ and ‘Tin Man’ are beautiful, evocative pieces, what was the inspiration behind them – We’re assuming the latter isn’t the beginning of a trilogy featuring, Scarecrow and The Cowardly Lion? Morgan – Thank you so much, so glad you like the tracks! Tin Man and Corpses are both loosely based on the same overarching theme of dreams. When we put them together we realised they acted as antidotes to each other. Tin Man is about that gorgeous hazy feeling you get when you’ve had a good dream about someone you love. But rather than being disappointed when you wake up, you’re left with a lovely feeling which stays with you all day. It’s a sort of dream-like faith that you can carry with you. It’s about steadfast faith in the reliable, beautiful every day sort of love. Corpses was inspired by a nightmare. In the dream I was standing with a very special person at the top of an alter and everything was very wrong. I wrote the first couple of lines minutes after waking up. 2016 will go down for many as a fairly horrible year ( I’ve actually arrived at a point where I’m now convinced 2016 was actively trolling me) But how was it for you ? Mogan – Oh man, 2016 sure has been pretty horrible on a global scale. In terms of the band, we enjoyed a lovely summer playing festivals all over the UK and Ireland – although we were actually playing the BBC Introducing Stage at Glastonbury the day the results came in for Brexit, which broke our hearts! We started touring quite a lot towards the end of the year which we’ve really enjoyed. We played all over Germany with Ben Caplin and the UK with Mutual Benefit as well as our own headline Irish tour in November. We just played our last live show of the year in Dingle, Co. Kerry as part of the Other Voices Festival, that was really special. How did Communion Records get involved? Gemma – Communion are such lovely people. We met them a while back when playing at one of their club nights in London. They’re a fantastic label and have some amazing artists on their roster, we’re so delighted to have been part of the first year of the Singles Club. Morgan – It was an absolute pleasure playing some beautiful venues across the country this November. In particular, playing a full Christ Church Cathedral in Dublin was an incredible feeling and we were certainly surprised at how many folks showed up. Being part of a ‘scene’ isn’t something we’re really conscious of but we definitely feel that there is an incredible amount of support between Irish bands. Any news on a debut album? Morgan – We plan on spending the next few months writing away towards an album. We’re keen to get as many songs on the table as possible before we start narrowing in on the specifics, but it’s definitely the priority. We’re really excited to explore some new ideas and see where they lead us. Watch this space!